Fabric addicts + knit queens unite! Since 2002, Purl has brought smiles to enthusiastic crafters everywhere. They're not only a fantastic find in person at their New York City Soho location (137 Sullivan), but also online, where you can find a website that is as beautiful as it is cleverly laid out - so easy to navigate. From fabric to pattern books, magazines, yarn, accessories + notions, whatever you fancy can be yours for creating all the things you love. 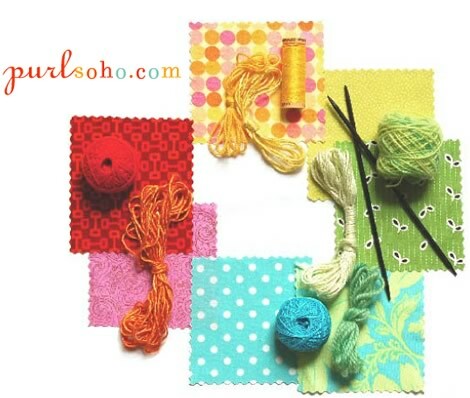 In 2006, the Purl girls, Joelle and Jennifer Hoverson, opened an additional Soho location at 147 Sullivan, Purl Patchwork, dedicated to fabric, just a few doors down from their other Purl location at 137 Sullivan (Purl is primarily a yarn shop, Purl Patchwork is mostly fabric). 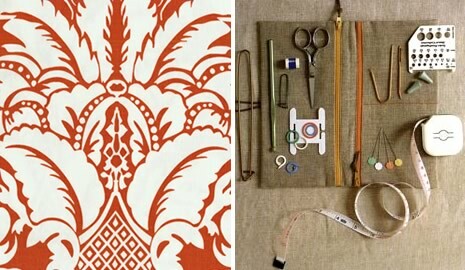 Here you'll find an array of contemporary prints, historical reproductions, elegant imports, and a rainbow of solid colors, all hand picked just for you by these two sew-passionate business owners. Whether you are embarking on a project from scratch or merely looking to personalize something you own, both Purls have it all. In addition to their brick 'n mortar locations and their online shop, guess what else these ladies have up their handmade sleeves? 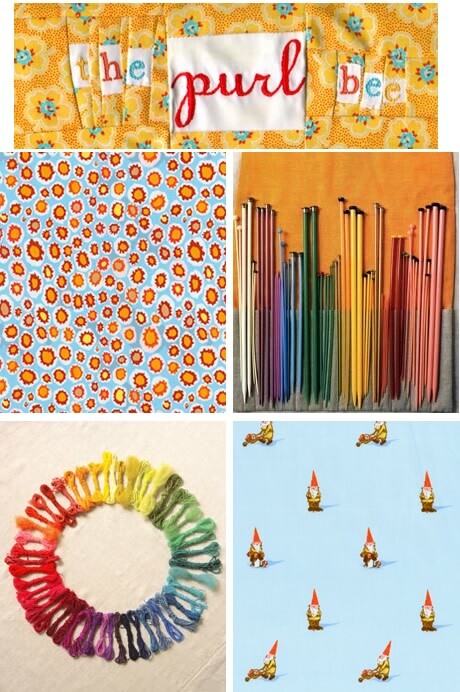 A blog, Purl Bee, and it's not only adorable, but a fun and informative read, as any good crafty blog should be. Don't Miss: Fabric by Kaffee Fassett, Amy Butler, Yoshiko Jinzenji, Anna Maria Horner, Etsuko Furuya, Heather Ross, Denyse Schmidt, Jennifer Paganelli, Valori Wells and Darlene Zimmerman. Spotted via: Cake + Pie Creative. ask decor8: Courtney Needs Your Help!